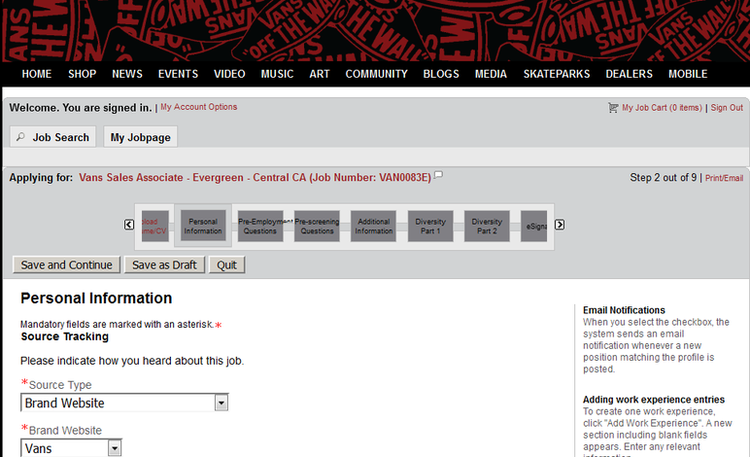 Entering the official site of Vans, we can find job category below the page, choose a job type based on your reference. Here we take “Retail Stores” as an example. 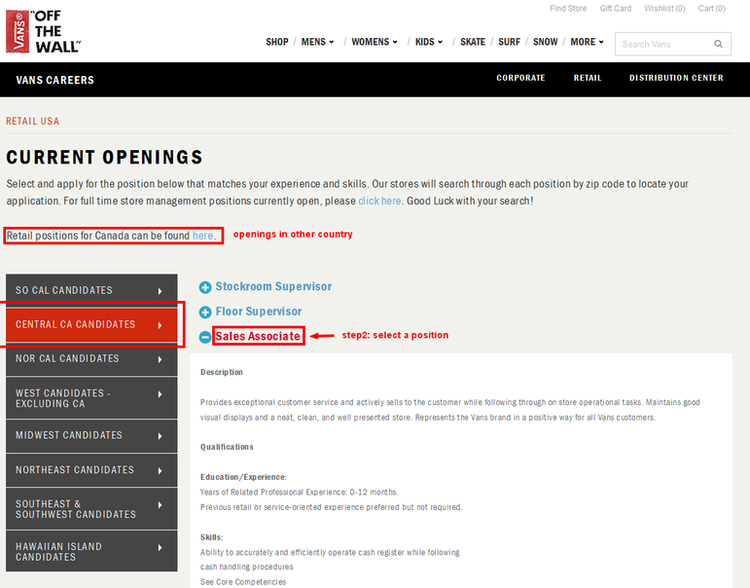 Vans divided job openings by location, because openings are not found in every branch store. 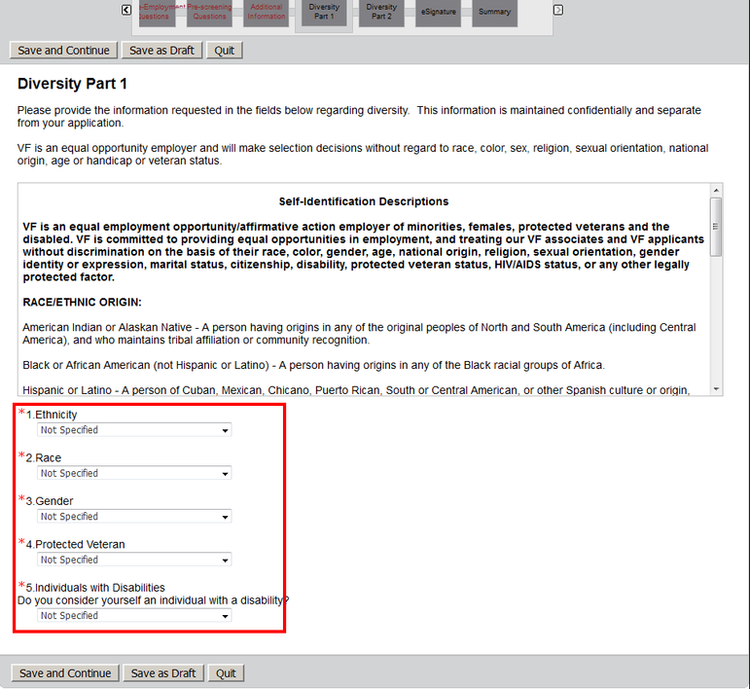 So choose a fit location to start your career, click on it then check which position you are qualified for in this area. These locations on this page usually will be in US, if you want to apply a job in other countries, please notify introductions above. 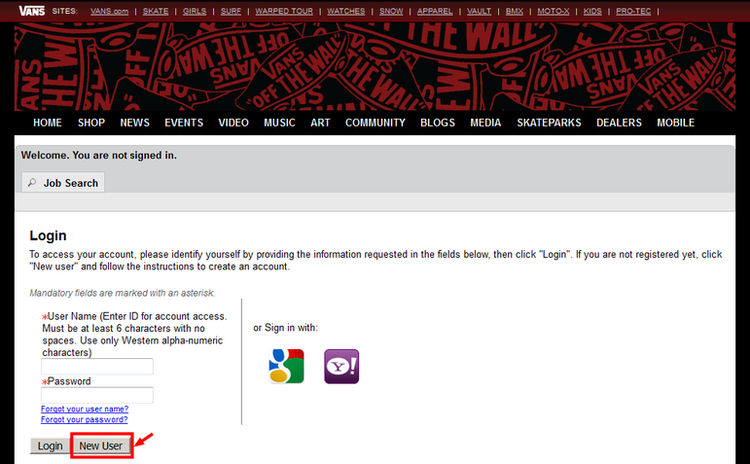 Press “Apply” button if you confirm to apply the job. If you are well prepared and locked the very job you want, press “Apply Online” to go on the next step. If you want to see around, to know more about other positions, you can add this job into your job cart by pressing “Add To My Job Cart”. Usually the website requests to register for the first time to apply on it, agree the agreement and finish your registration to continue. 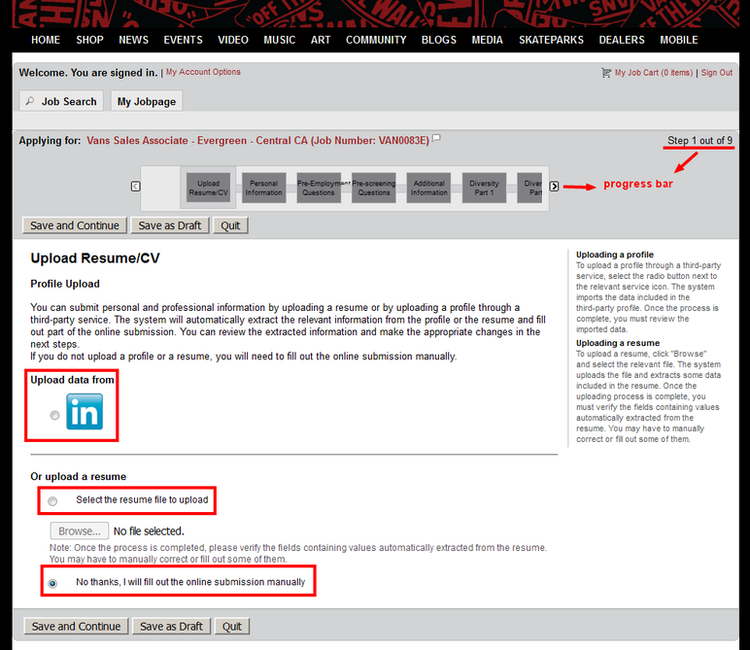 Vans provides three options to complete your application: upload your file from a third-party service like Linkedin, upload a resume from your computer or fill out the online submission manually. 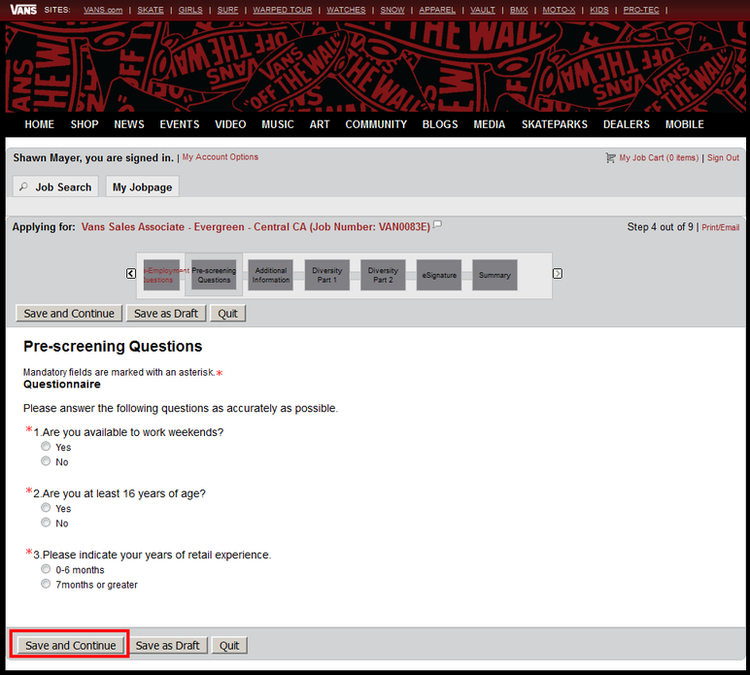 We take “fill out the online submission manually” as example. Fill up all the required information with red asterisk and other information that you think is helpful to the application. You are suggested to fill those blanks as detailed as possible. We believe the more detailed, the better. Answer the questions according to your actual status. 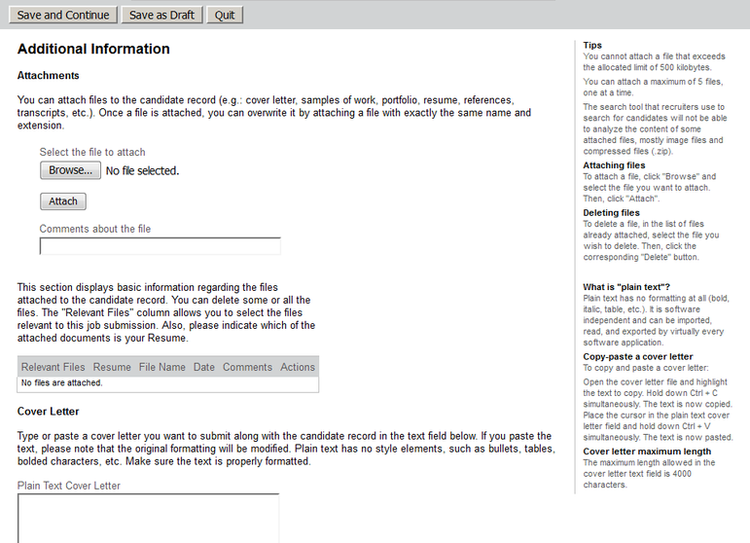 Upload your own profile, your attachments which can show your excellent capability and your cover letter. This step including two parts, diversity part1 and part2. Fill the all the checklists according to the guidance. 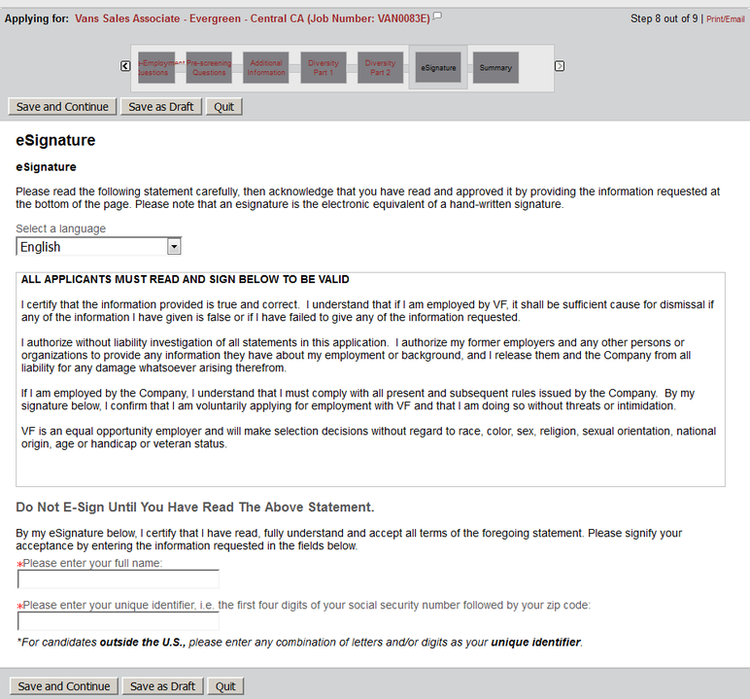 Fill your full name and the unique identifier to submit and finish your application. 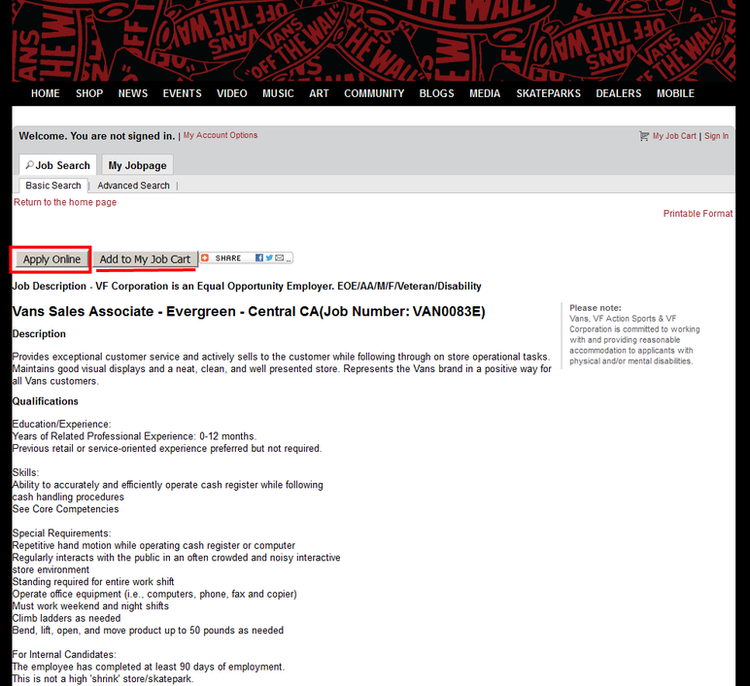 Click vans.com/careers to apply for Vans jobs online.